Yellow Mellow! 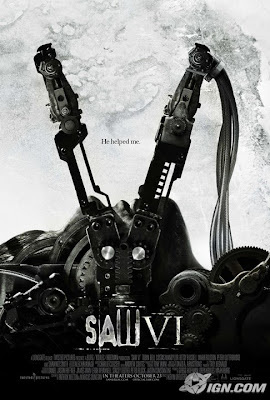 : New Saw VI Poster! which opens in theaters on this coming October 23rd, 2009! 2nd New Trailer: A Christmas Carol! Iron Man 2 Set Visit Footage! New Poster: The Princess And The Frog! New Poster: A Christmas Carol! 5 New Photos: Where The Wild Things Are! Toy Story 3 Teaser Poster! Michael Jackson's This Is It Trailer! New Trailer: Robert Zemeckis' A Christmas Carol! New Character Posters: Where The Wild Things Are! New Photos: A Christmas Carol! New Trailer: The Princess And The Frog! Michael Jackson's This Is It Poster! New Where The Wild Things Are Poster! New Poster: Fantastic Mr. Fox! Exclusive New Photos: Astro Boy!